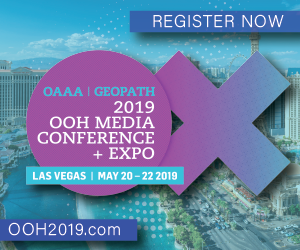 While we don’t have a crystal ball, we do have a strong inclination that mobile devices and the data they provide can be the next great growth driver for OOH. Why mobile? In one word – Relevancy. The baseline need that many advertisers have fallen in love with – the idea of reaching optimal audiences, is generating $100+ billion per year of digital ad revenue in the US. When an advertiser bids on search engine keywords on Google or when they purchase display ads on Amazon, they have confidence that their ad will be placed in front of relevant audiences. After all, a consumer just searched for their term(s) or product on their mobile device or computer, so advertisers are capitalizing on their intent. When advertisers launch a social media campaign on Facebook, they start by defining who they want to reach (and where). The trillions of Facebook user likes and sign-ins produce rich audience data sets that are made readily available to millions of advertisers of all sizes and types. Let’s face it. Up until now, OOH advertising has had a very hard time competing in the arena of audience-based buying. 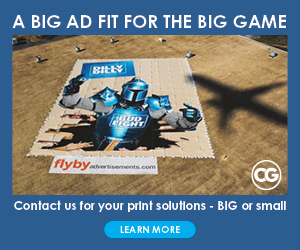 Yes, you can choose OOH locations that are within a certain proximity to your place of business(es), but for so many advertisers, that isn’t enough. Mobile data is converging the world of digital online media with OOH media. The ~$8 billion annual US OOH industry is poised for hyper-growth. Mobile data is the rocket fuel. 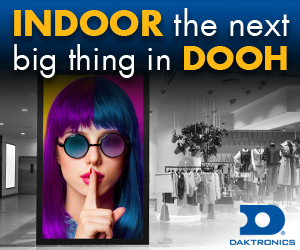 In other words, create all new streams of revenue for OOH owners and operators. On March 20th, Adomni made the PlaceIQ audience insights publicly available to all advertisers and out of home owner/operator partners on Adomni.com. Adomni is calling its next generation demand side buying platform – Adomni 2.0. The big new innovation to the self-service OOH buying platform is a feature called Audience IQ, which enables advertisers or sales reps of out-of-home media companies to choose from 1,000 audience segments such as demographics, purchase behavior or interests and then discover which OOH locations have the highest composition of their intended audience. Gudai stated “We created the Audience IQ score as a way for advertisers to easily gauge on a scale of 50 to 100, which OOH locations are optimal for the audience they want to reach”. 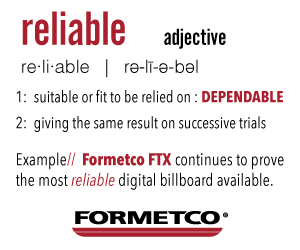 With PlaceIQ’s rich audience data, we can eliminate the guessing game on which OOH boards are the most pertinent. And after a campaign has been launched, we now provide robust audience analytics as part of our newly enhanced proof of performance reports. To provide a real world advertising example, let’s say you are an automotive brand like Dodge that wants to advertise a new model coupe to young women. You can go to adomni.com, choose the audience segments of female, 18-24, dodge, in Las Vegas. In seconds, the Adomni search engine will comb through tens of thousands of OOH advertising locations and millions of PlaceIQ mobile data points to guide you to the best OOH options for that audience. You’ll see that a digital billboard next to the freeway across from the Valley Auto Mall has the highest audience IQ score. You can then easily add that location to your cart, add your credit card and launch your campaign. All done in just minutes. Why Audience IQ? Smarter advertising campaigns. Deeper audience intelligence. Better results. 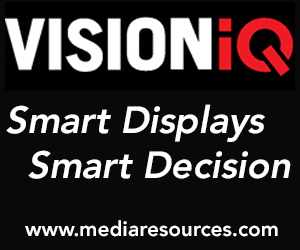 Adomni 2.0 will be debuting at the Digital Signage Expo in Las Vegas on March 26-29. To learn more, visit adomni.com or contact sales@adomni.com for more information on Adomni 2.0.